Your home is likely your most valuable asset and the single most expensive thing you'll ever purchase in your lifetime. Maintaining your home is as important as doing routine maintenance on your car. The first impression that your house makes has a major impact on the value of your home. Regular house washing in Brunswick is a must for those that want to preserve the value and curb appeal of their homes. Your home is always exposed to the elements, allowing it to build layers of dirt, algae, mildew, and dust. 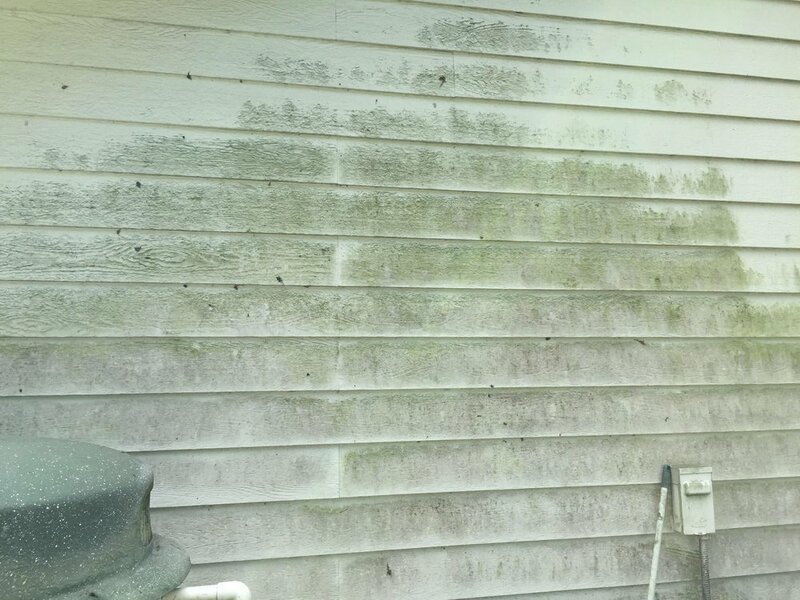 Tarpon Power Wash has the expertise to determine the best course of action to not only help your home look better, but to help make it last longer. Get a quote today for house washing! Why do I need House Washing in Brunswick? Here in Brunswick and St. Simons Island we often see spider webs, dirt dobber nests, and wasp nest accumulating under your eves and around porches and patios. Algae build up, especially on north facing surfaces and dirt clings to windows and builds up in corners. This is a recipe for the early deterioration of a home. When most people think of pressure washing a house, the first thing that comes to mind is pressure washing. While we consider ourselves a "pressure washing" company, and we do use a pressure washer to perform the services that we provide, it's not an accurate depiction of how we accomplish the task of washing a house. Using high pressure to wash your house is risky and will not only give you inconsistent and temporary results, it can also cause permanent damage. If you pay attention you'll see homes that have swirls marks and streaks all over their siding from using high pressure at close range. When we wash a house we use a low pressure "soft wash" technique that is safe and doesn't cause any damage during our house washing. Not only that, but because we are actually cleaning your house and not just blasting it, the work will last much longer. It's much like washing your hands with just water as opposed to using soap. Your hands might look the same, but the bacteria is still present. More often than not, the green or black material on your home is organic matter and it must be treated in a way that kills it and therefore delays its return. Have the knowledge and skill to make sure that your Brunswick house wash is a success. Are licensed and insured for your protection. Use highly specialized top of the line equipment. Use specially formulated solutions instead of high (caveman) pressure to clean your house. Are military and fire service veterans that put service to other above all else and are committed to excellence and attention to detail. Care about Brunswick, St. Simons, and Jekyll Island because we live here too. Our families live and work here right beside yours. We want Tarpon Power Wash to be a company that Brunswick can be proud of. Won't take your money if the job isn't to your satisfaction. We would rather not get paid than to leave a customer dissatisfied.